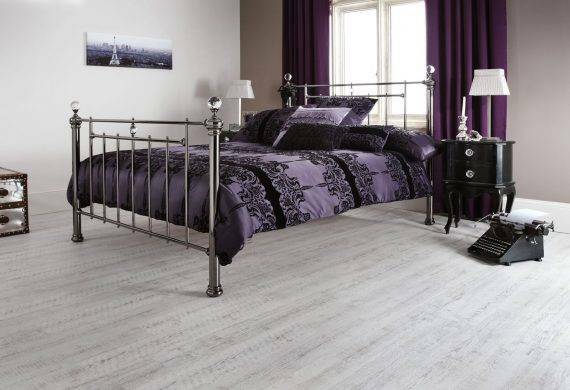 When you need a wide choice of different size and finish metal bedsteads in Burton on Trent then you need to visit the Coytes showroom. 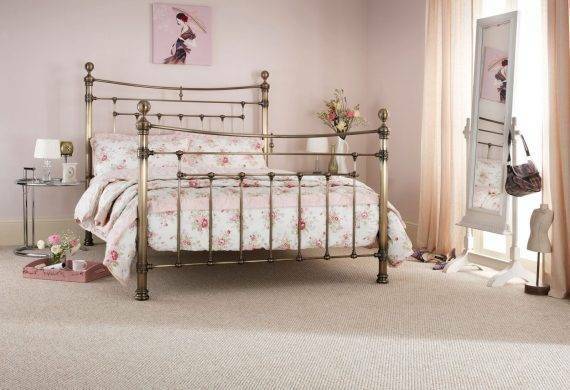 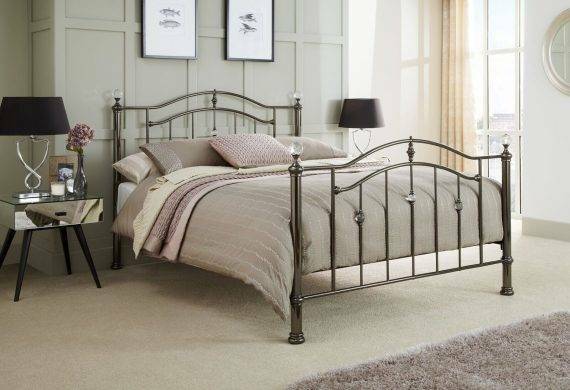 Great service and free delivery within 25 miles – what more could you want when looking for metal bed frames? Perfect for Burton, Swadlincote, Derby, Tamworth, Ashby & Lichfield! 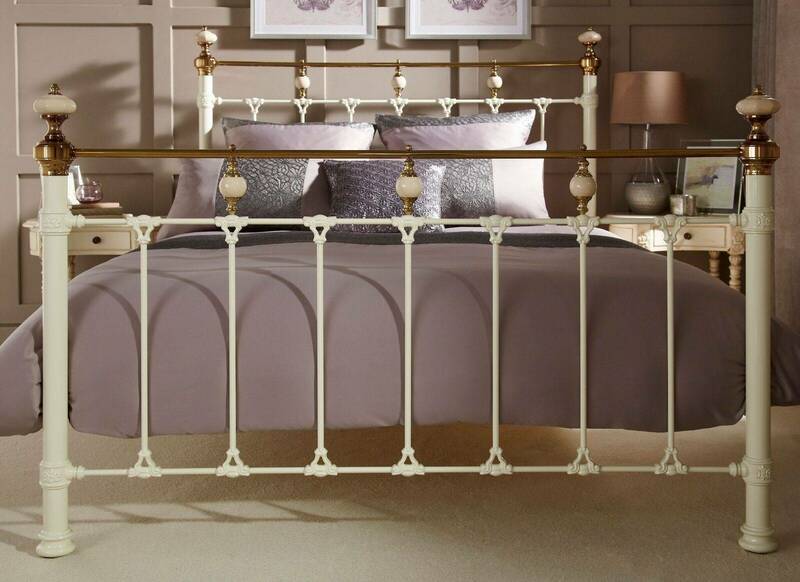 The combination of either an Ivory or Black finish, framed with Dark Brass, accentuates the elegant design features of the Abigail bedstead. 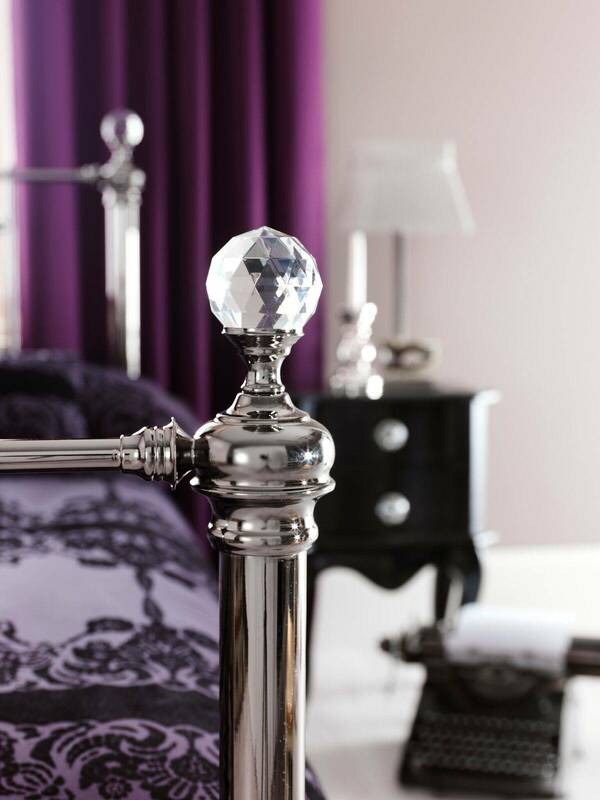 A blend of the modern and traditional has been successfully achieved in creating this time-honoured, classic look, with a contemporary feel. 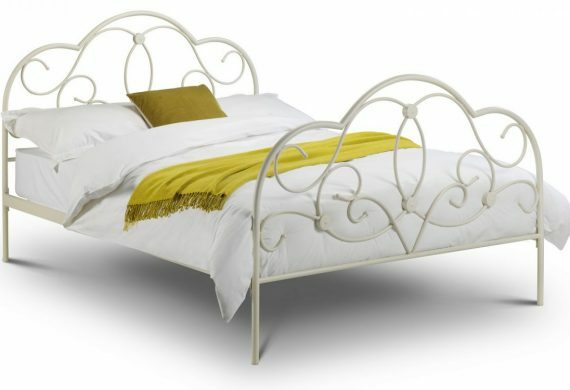 A choice of three sizes (4’6″, 5’0 & 6’0) and a Birch veneered slatted base, ensures optimum comfort. 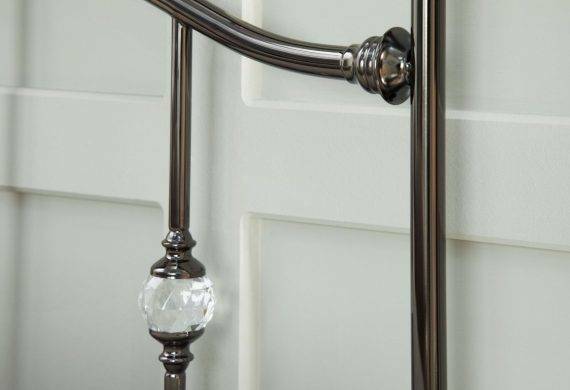 A curvaceous top-rail complements the uprights of this elegant design, while crystal effect accessories and choice of Black Nickel and Nickel finish options are an opulent touch. 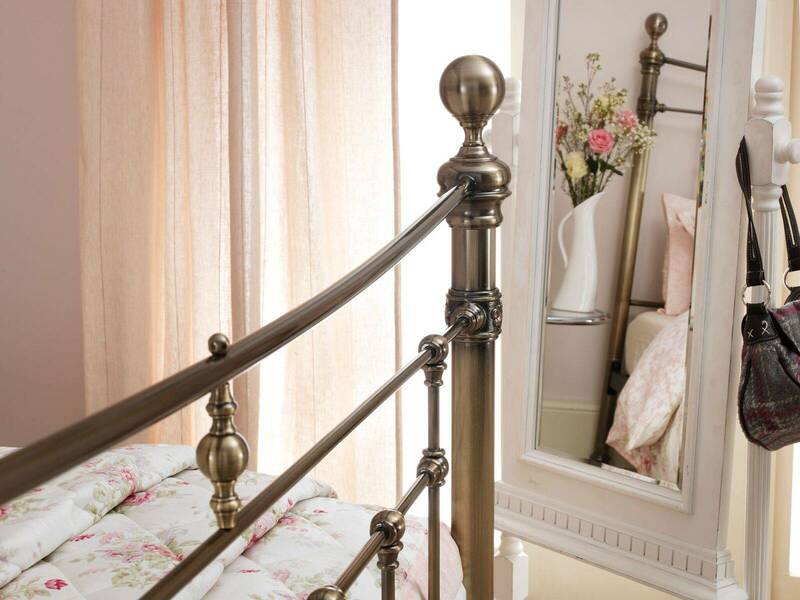 A choice of 4 sizes (3’0, 4’6″, 5’0 & 6’0). 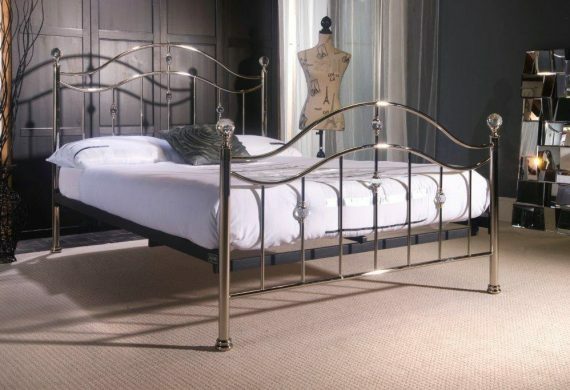 Com and seet he collection of metal bedframes at our Burton on Trent furniture shop. 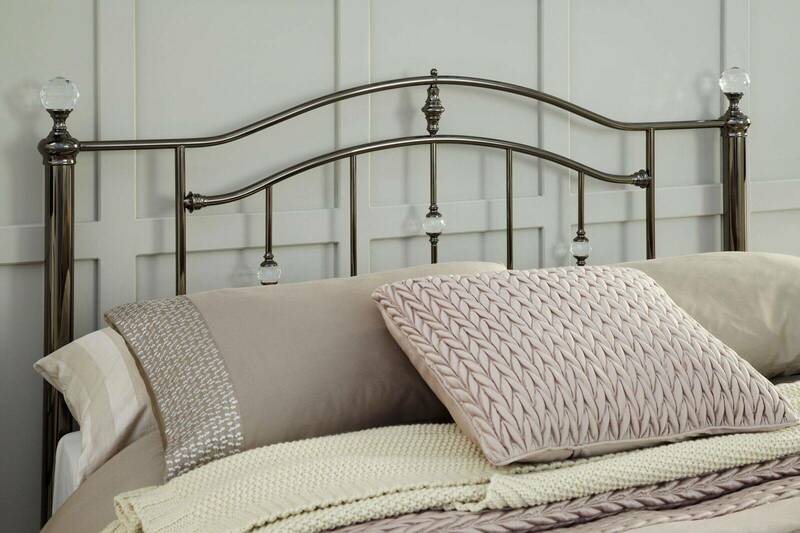 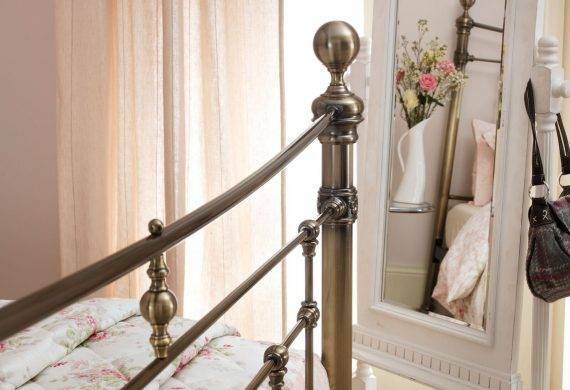 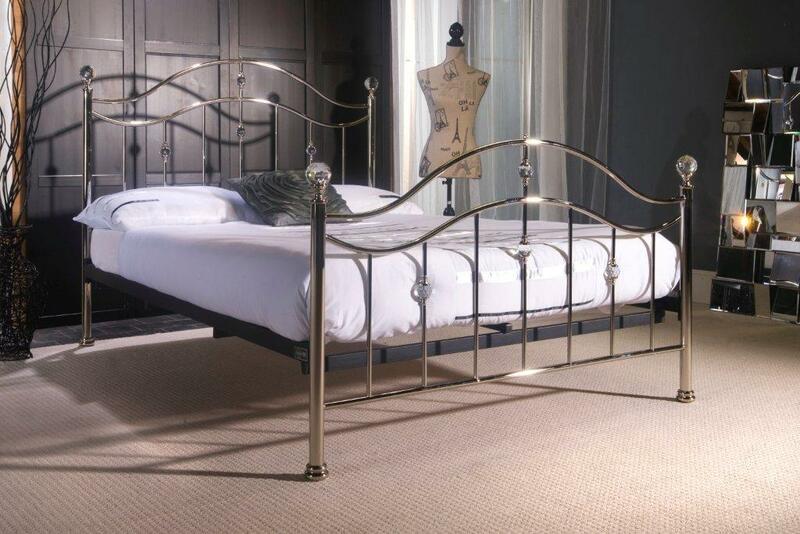 This Crystal metal bedstead is a statement piece that will inject glitz and glamour to the bedroom. 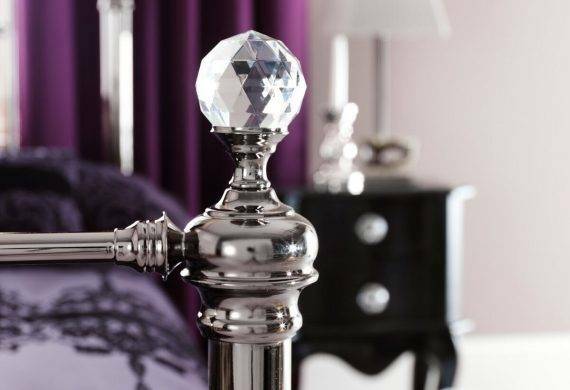 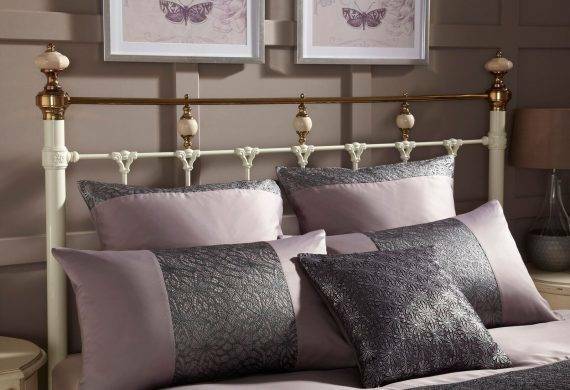 Time-honoured design and contemporary notes seamlessly combine to create a magical design that looks simply stunning in an electro plated Black Nickel finish, which accentuates the elegant crystal-effect finials on top of the bed posts, headboard and footboard. 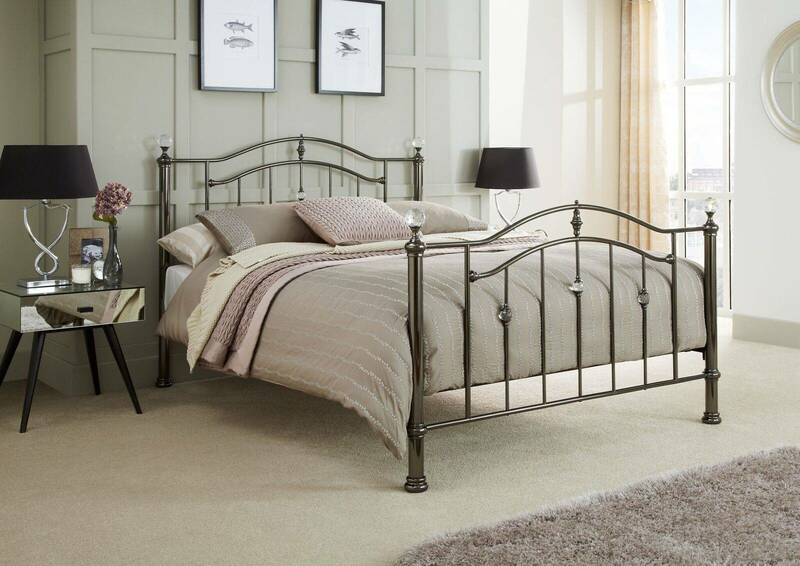 Available as a bedstead and headboard, with a Birch veneered slatted base, in four sizes (4’, 4’ 6”, 5’and 6’). 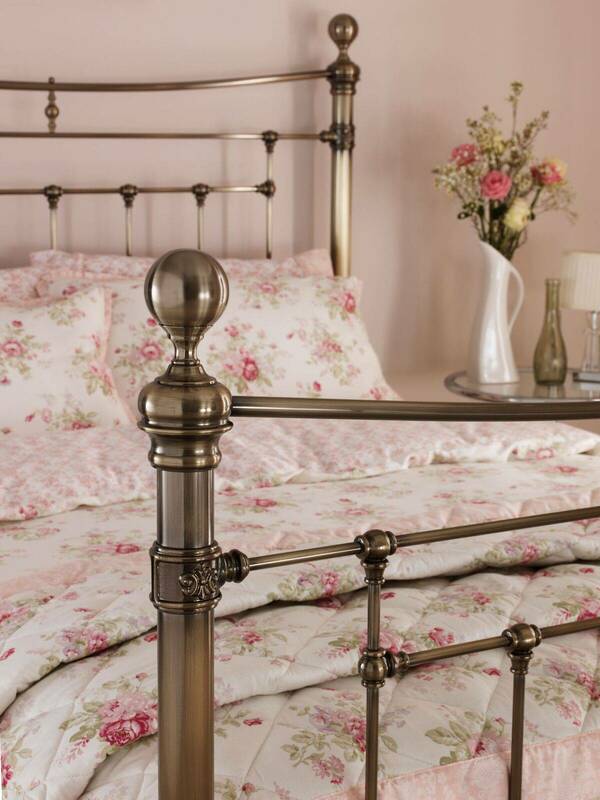 Imposing proportions presented in a rich, Antique Brass finish, convey a sense of elegant refinement and sophistication. 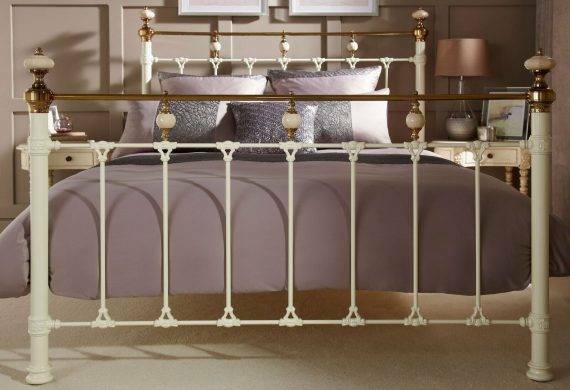 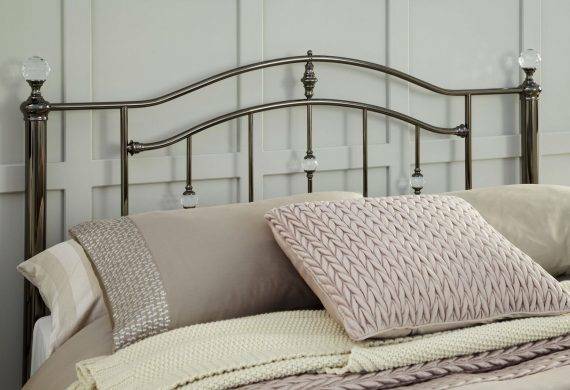 Combining robust features with gradual curves and stylish detail; this distinguished brass bedstead with its hand-poured castings and Birch veneered slatted base is available as a bedstead and headboard in three sizes (4’ 6”, 5’ and 6’). 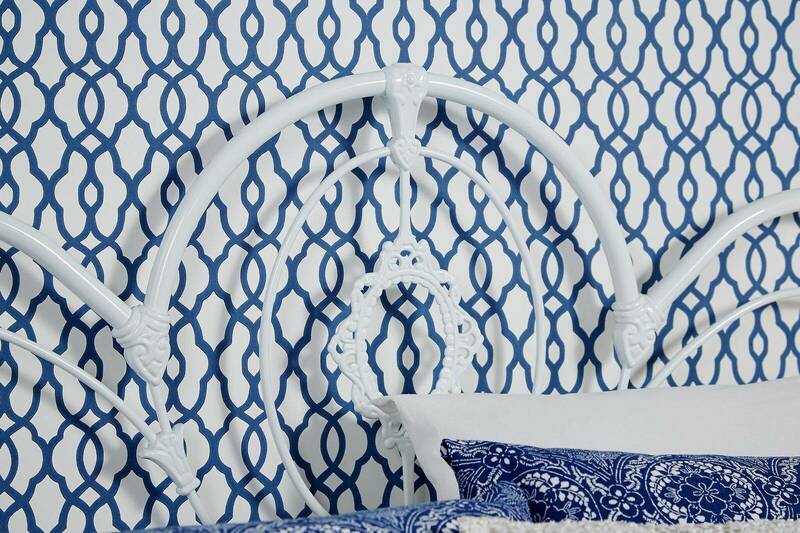 Romantic Victorian design, with beautiful detailing and craftsmanship of the highest order. 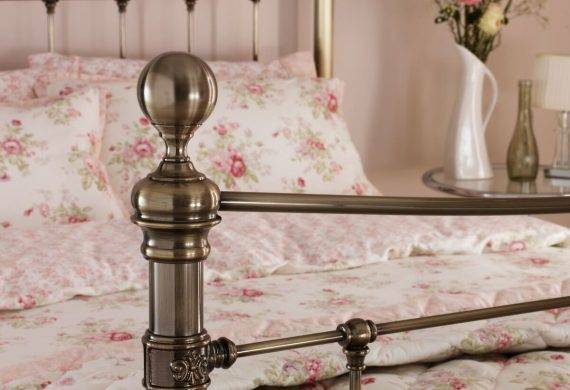 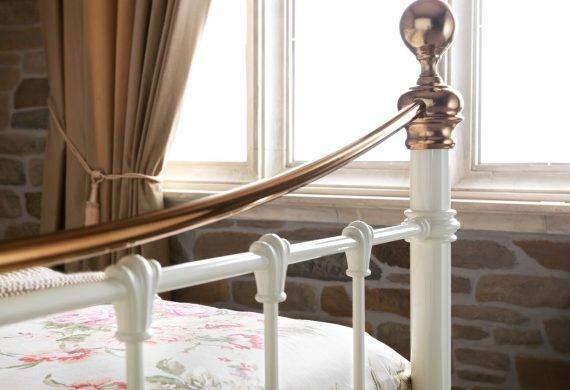 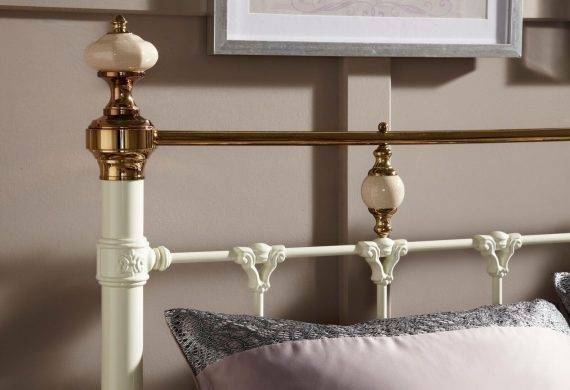 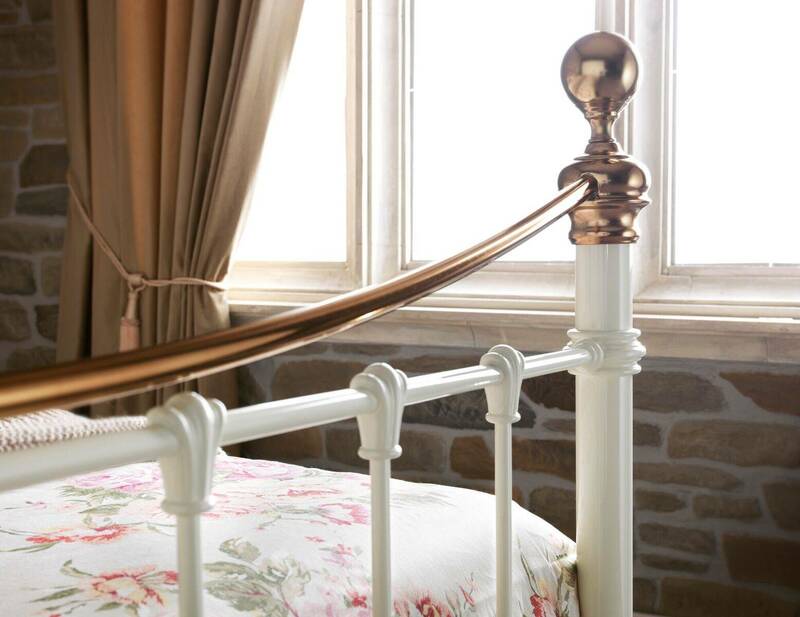 Hand-poured castings, a sweeping top rail and sturdy bedposts combine in opulent fashion, with a choice of three nostalgic finishes sealing the look. 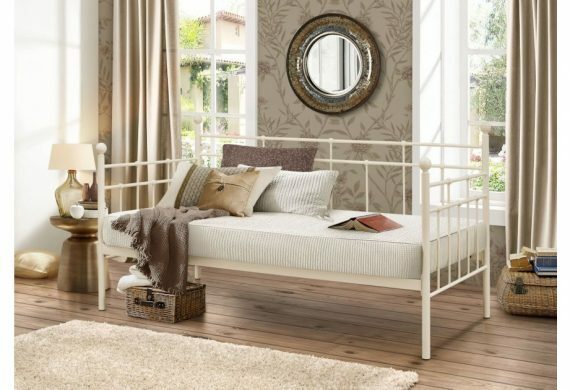 Choose from Ivory Gloss/Brass, Black/Brass & all Ivory Gloss with a Birch veneered slated base, available as a bedstead in one of three sizes (4’ 6”, 5’and 6’). 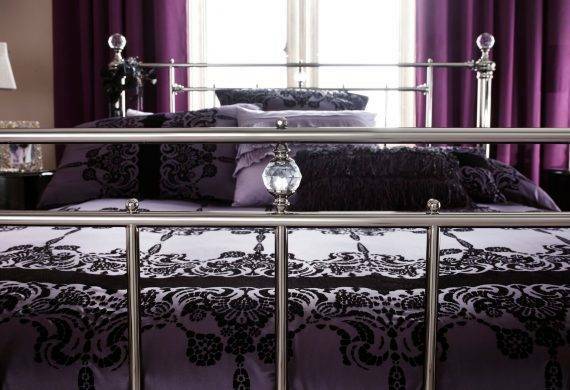 Curvaceous top rails and hand-poured castings convey the Gothic influence behind this alluring design. 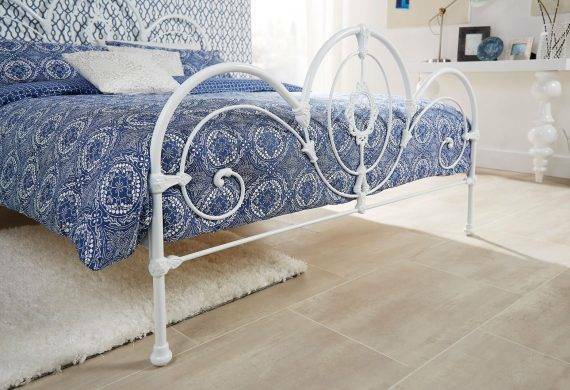 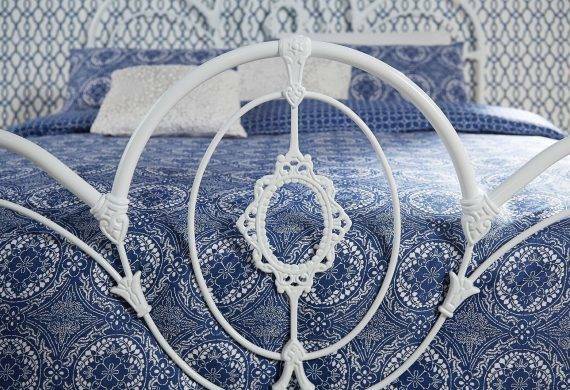 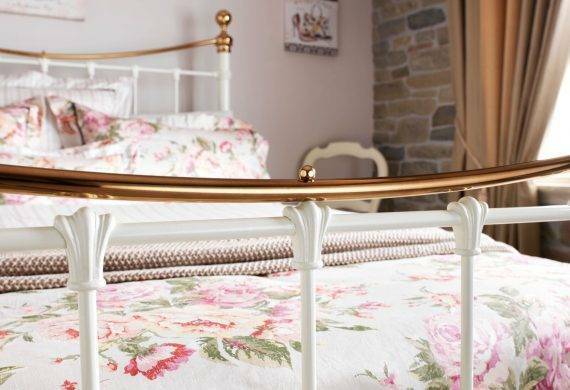 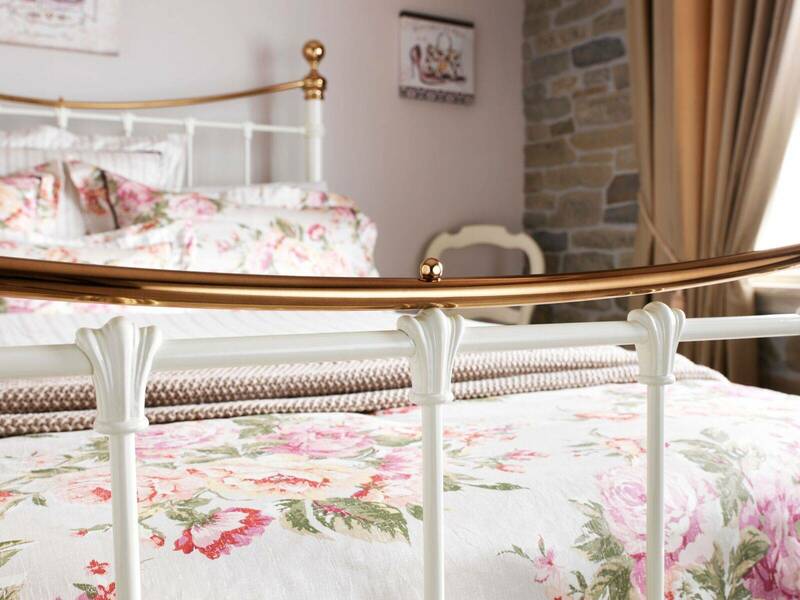 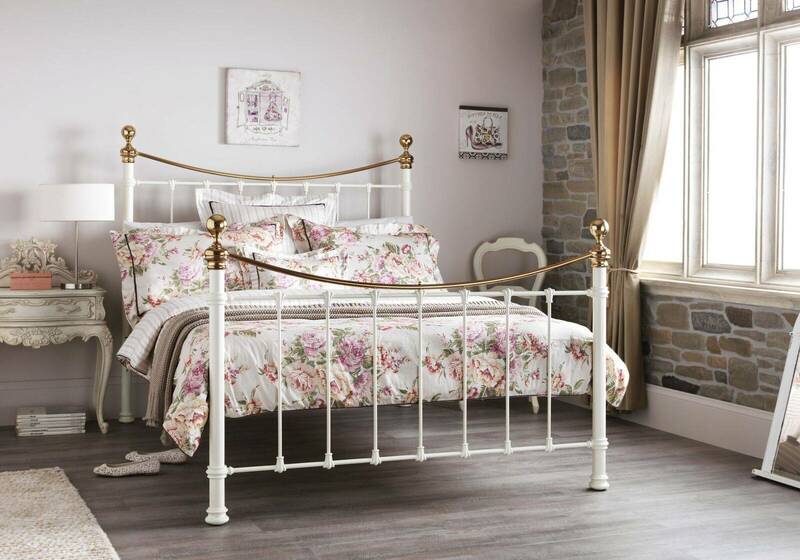 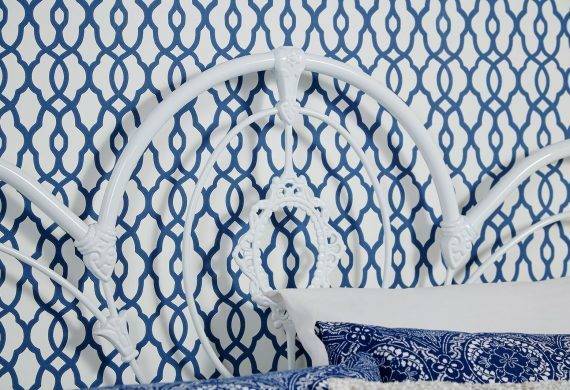 Beautifully finished in a wonderful White gloss, this fairy-tale bedstead presents an ornamental medallion as a centre-piece to the head and foot-end and delicate detailing that brings it to life, in graceful character. 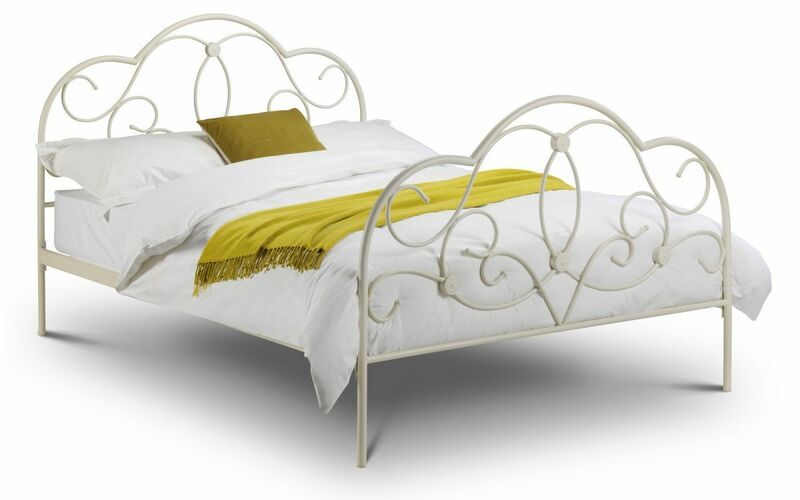 Available in two sizes (4’ 6” and 5’) with a Birch veneered slatted base. 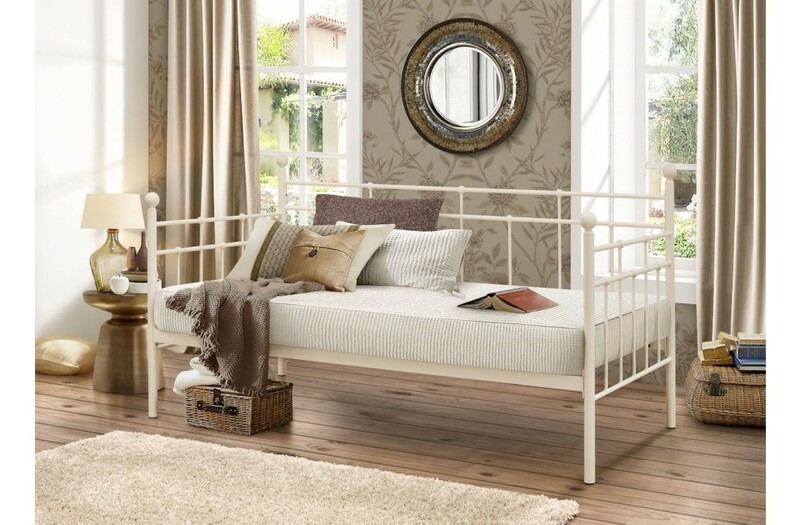 Marseilles Glossy Ivory Day Bed with optional Guest Bed. 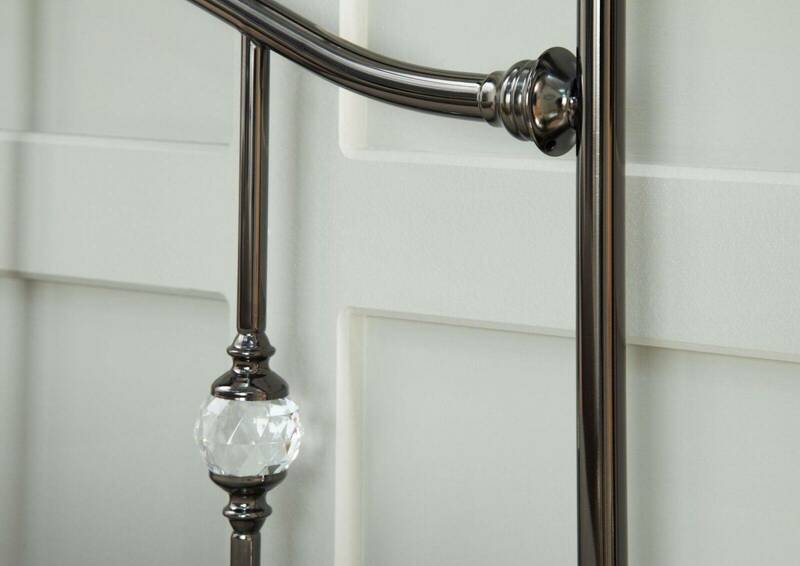 Polished and refined in ivory gloss or black.